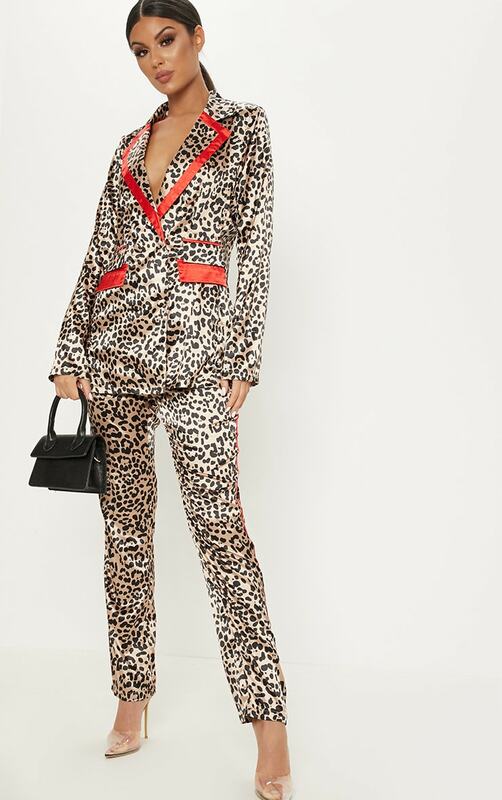 Doll make a statement in this satin blazer. 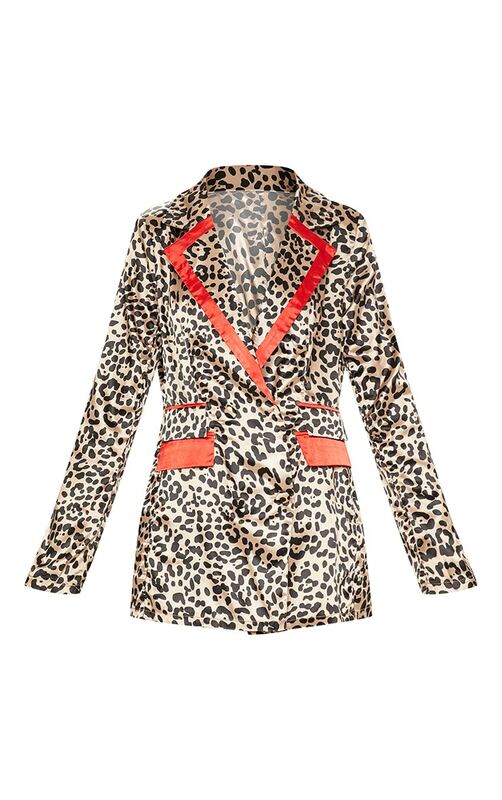 Featuring a brown leopard satin material with a contrasting red trim design and a button fastening. Style this blazer with the matching pants and sky-high heels to complete the look.